Preparedness has been on my mind lately. The daily news of heartbreaking natural disasters that leave many homeless and helpless make me realize how important being prepared can be. We talked about 3 Ways to Jumpstart Your Emergency Preparedness and Food Storage Tips to Get You Prepared in these previous posts. This week I would like to talk about the next most important preparedness topic in my opinion: water storage. Why do we need to store water? 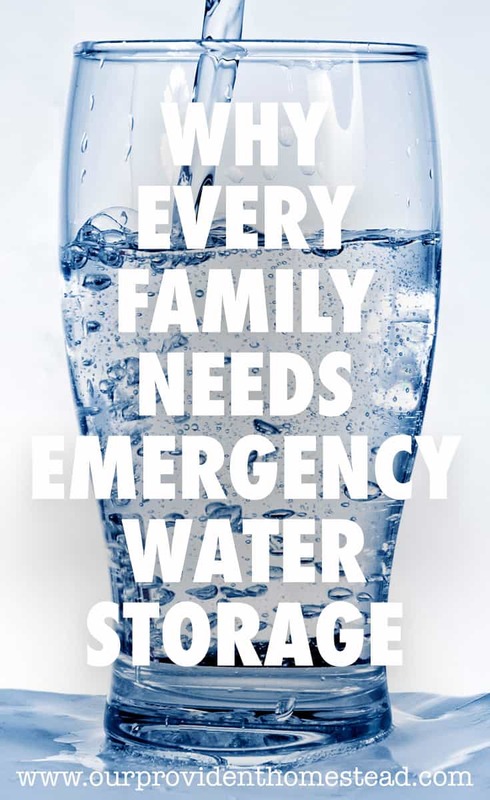 Water storage is a major part of a good emergency plan. You need water to drink, cook with, wash clothes and bath in. Also, it an emergency, local water could get contaminated and not be safe to drink or use. As in the infographic above, it is suggested that we store a gallon of water per person per day. The best way to determine exactly how much you need is to try to go without water for a day. This will help you determine all of the ways you use water and how much you might need for your family. What are the best ways to store water? 100 gallon tub water storage – I haven’t tried these yet, but I think they are an ingenious idea. If you have some warning of an emergency, you throw this in your bath tub and fill with water before the water is turned off. One time use only. 55 gallon containers – These bigger containers can help you consolidate your water storage. As with all water storage containers, do not store them directly on concrete. 7 Gallon water jugs – These are more portable than the bigger containers. They are also good for camping. 1 gallon jugs-Easy to buy and store, you can put these under beds or in closets. Old soda bottles– Save your old soda bottles (if you are drinking soda), clean them out and refill with water for storage. Empty canning jars-As you empty your canning jars of preserved food, fill them up with water for storage. They take up just as much space in the pantry whether they are full or empty so you may as well use the space wisely. How often do you need to rotate your water storage? Water can stay good for years, but it can be contaminated very easily. It is best practice to check your water storage annually to see if you have any leaks, discoloration or smell. What if you need to use contaminated water? In an emergency, you use what you have to survive. If your water storage went bad or you don’t have enough, you may have to use contaminated water. Also, you may have a pond or stream that you plan on using in an emergency scenario. How do you purify contaminated water? Follow the instructions in the infographic above to clean your water. Make sure you have water purification drops in your 72 hour kit for just such an occasion. 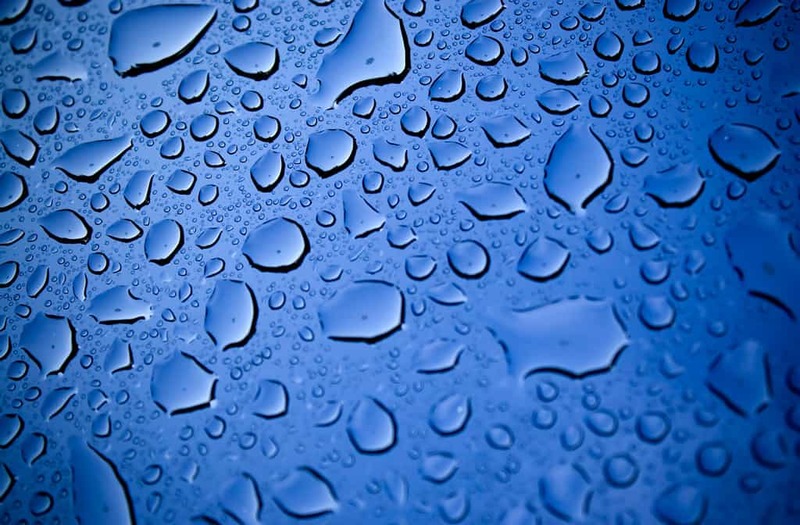 Water storage is often overlooked in emergency preparedness but it is vital to our survival. By having different sizes of emergency water in different areas of your homestead, you can be better prepared for whatever comes your way. Do you have water storage tips to share? Please let us know in the comments below. Thanks! Click on the box below to join our 7 Day Emergency Preparedness Challenge to get your family prepared!